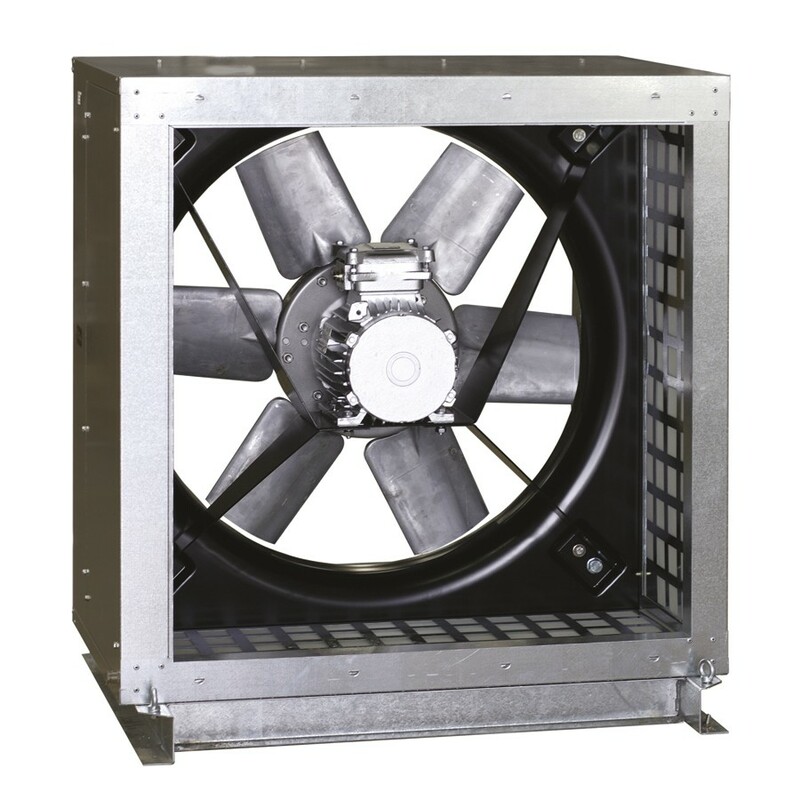 Range of adjustable pitch aerofoil blade, axial flow cabinet fans designed for smoke extraction in fire conditions and certified F400-120 and F300-120 (CE marked). 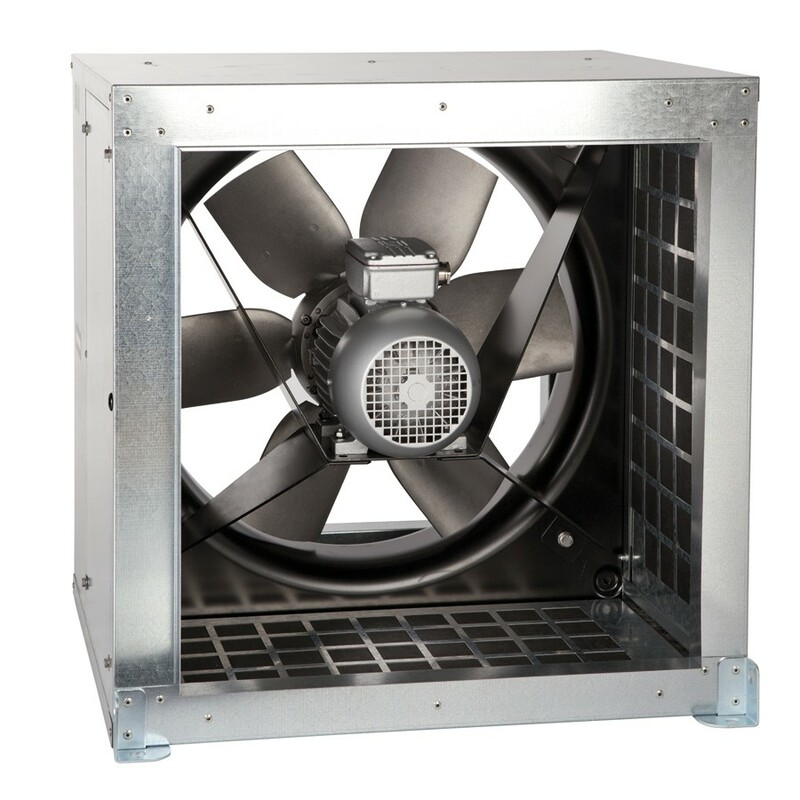 Fan casing manufactured from heavy gauge galvanised sheet steel internally lined with 25mm thickness fireproof fibreglass acoustic insulation (M0). 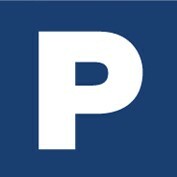 - with three phase motors in 4 or 6 poles. - with three phase two speed motors 4/8 or 6/12 poles. F400-120 and F300-120 motors are IP55 class H insulation. Impellers with 3, 5, 6, 7 or 9 blades with adjustable pitch angles, allowing the most optimum selection to achieve with every kind of installation requirements. F400-120 or F300-120 certified motors approved for running continuously (S1) or for emergency operation (S2). Casings manufactured from galvanised sheet steel. Design enables the casing side panels to be removed and the motorimpeller assembly accessed. Robust base supports facilitate the installation. 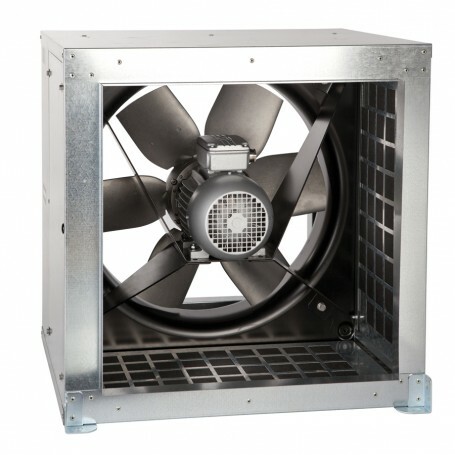 Wide blade design to ensure the highest efficient airflow performances. Configuration 1: models from 400 to 630 (F400) or 800/6 (F300). 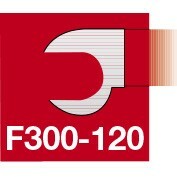 Configuration 2: models from 710 (F400) or 800/9 (F300) to 1250.